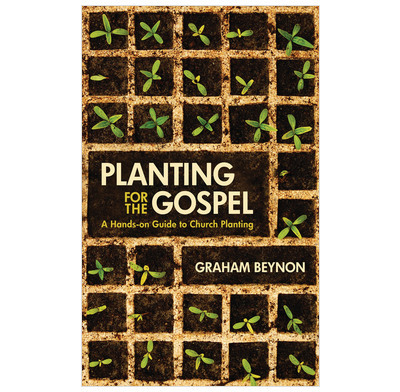 Considers the principles and practicalities of church planting. "One sunny April day a group of people were standing nervously outside a school building. We were waiting for the caretaker to come and open up for us. He was late and I was getting anxious. It was the first meeting of our new church plant. About 50 adults and 20 children from a nearby church were meeting together for the first time on a Sunday morning. All our plans were laid but we weren't sure how it was going to go, and right now the caretaker wasn't helping! He soon arrived however and it turned into one of the best mornings I can ever remember." For Graham Beynon, this wasn't the beginning of the journey; there had been many things to reflect on and to plan to get to this point. This planning work would lay the foundations for a group of Christian people, a church, to be committed to one another; a church that is praying, learning and growing together; a church that seeks to be healthy, flourishing and biblically grounded. That journey is not an easy one. Are you planning to plant a church or being challenged to do so? This guide recognises that no church starts out the same and there are various different models. It will all depend on your beliefs about church, its aim and purpose, and context as to what model you might adopt. There will be important things to decide upon such as leadership, decision-making processes, outreach, and community involvement. This is an opportunity to consider the principles and practicalities of church planting with case studies and questions to consider at the end of each chapter.